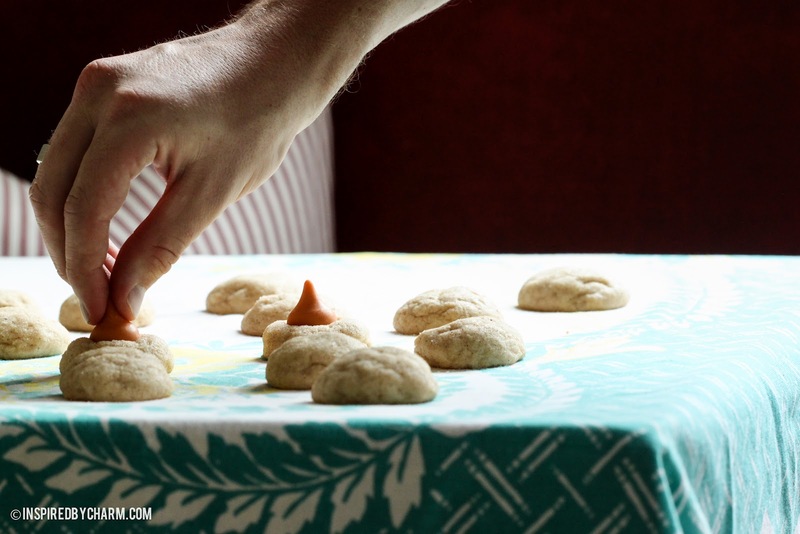 Well folks, the end is here, at least for actual cookie recipes. Today is the final day! Can you believe it? 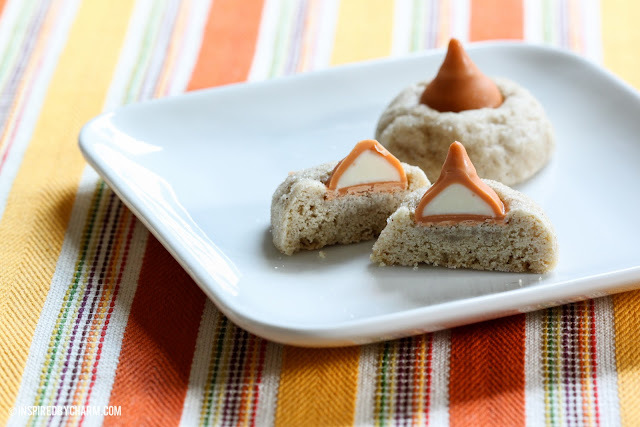 I really hope you enjoyed Fall Cookie Week and discovered some new recipes. Don’t forget tomorrow there will be a Fall Baking Link Party. Stop by and share your fall baked goodies. On Monday, I will announce all of the giveaway winners including Lost Crates (which is now ended), the Fall Basket, and the Goose Creek Candles. Sound good? 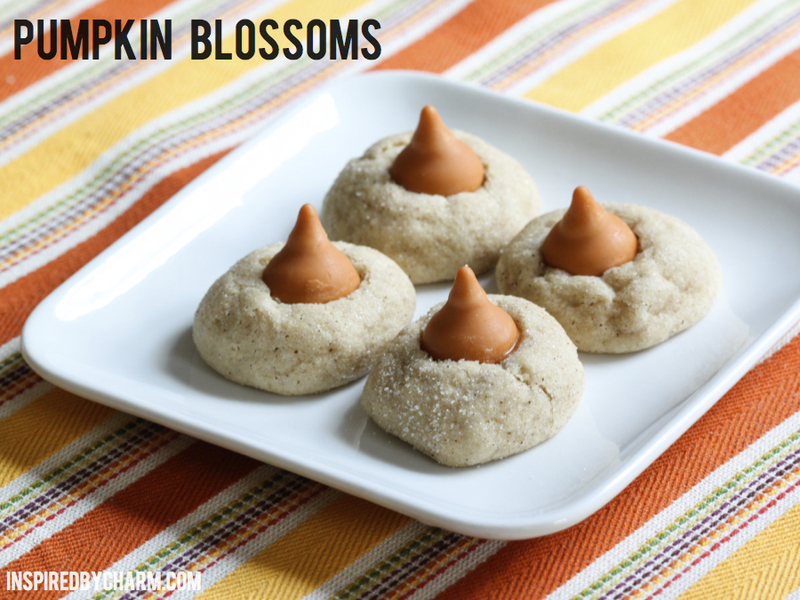 All right, last but not least, today’s cookie is what I’m calling a Pumpkin Blossom. You may have seen this cute cookie floating around Pinterest. So did I. 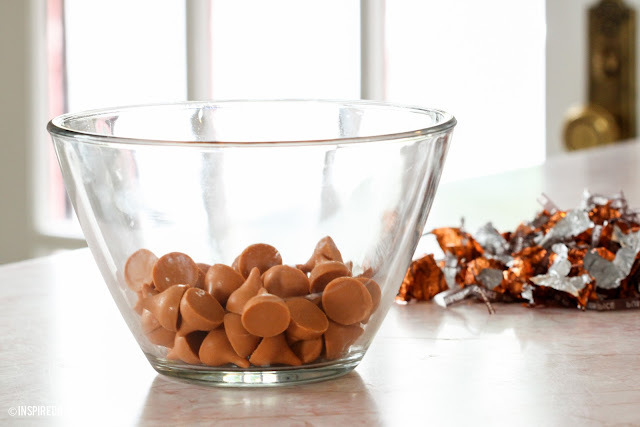 A couple weeks ago when I was at the store I finally found a few bags of Pumpkin Spice Kisses. I immediately snatched them up. I’m so glad I did because I haven’t seen them since. The recipe I used comes from Pass the Sushi. I changed the spices around a bit because I couldn’t find dry chai spice mix. I could have made it, but I wasn’t about to pay $10 for a bottle of cardamom. The results are fabulous! This was probably the most popular cookie at my Gift Shoppe Open House. 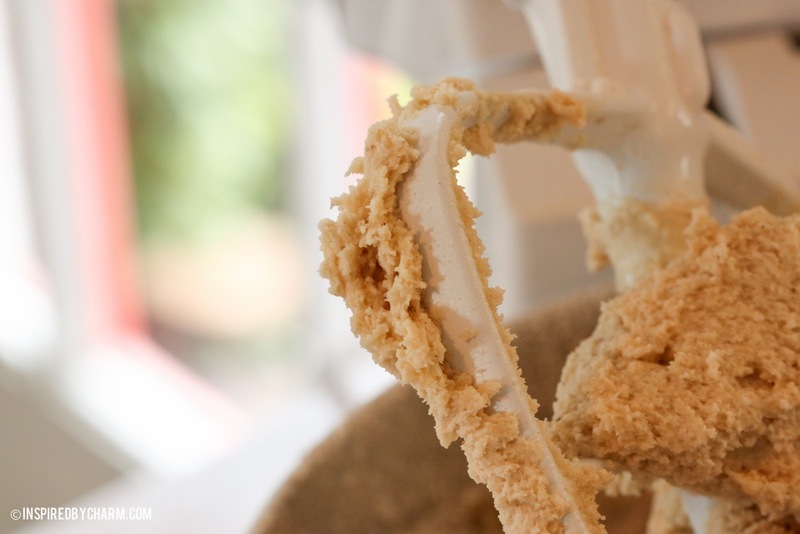 In a medium bowl whisk together flour, baking soda, salt, pumpkin pie spice, and cinnamon. Using an electric mixer on medium speed, beat butter and sugar until fluffy (about three minutes). Add eggs, chai concentrate, and vanilla to the butter mixture. Mix until combined. Refrigerate for about an hour. .
Then in a small bowl mix 1/2 cup sugar and 1 teaspoon pumpkin pie spice. 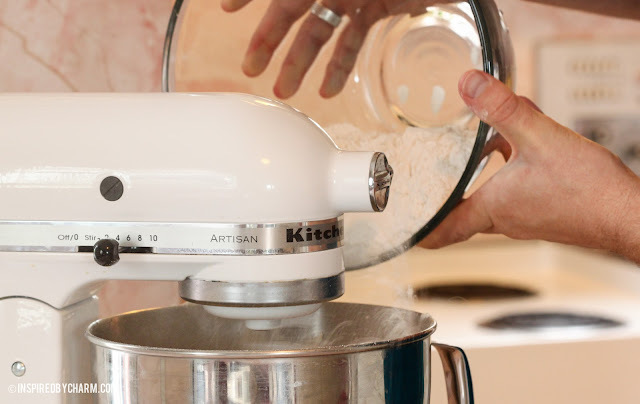 Using your hands, roll the dough into one-inch round balls. 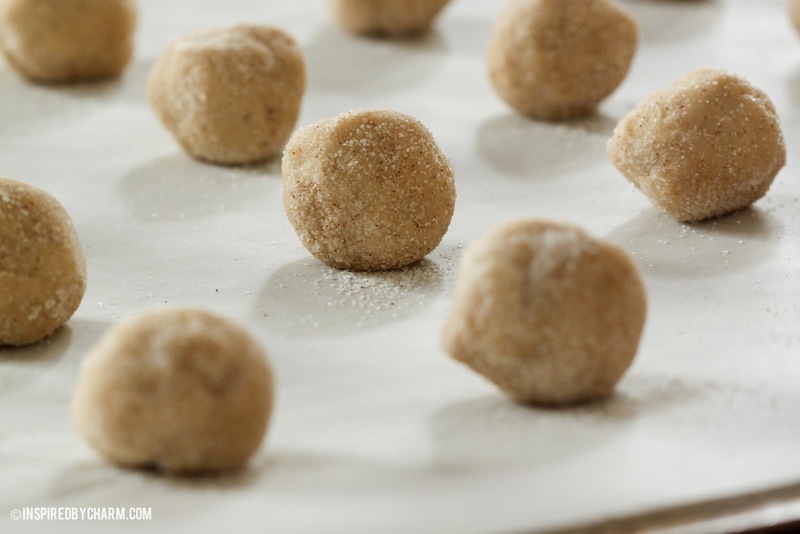 Then, roll dough balls in sugar and pumpkin pie spice mixture. Place the dough balls about two inches apart on baking sheets. Bake for 12-15 minutes. Remove the cookies from the oven and immediately place pumpkin kisses in the center of each cookie. Cool completely. Because the Pumpkin Kisses melt very quickly, I put the bag in the freezer before unwrapping them. I also kept the unwrapped Kisses chilled until I was ready to place them on the cookies. 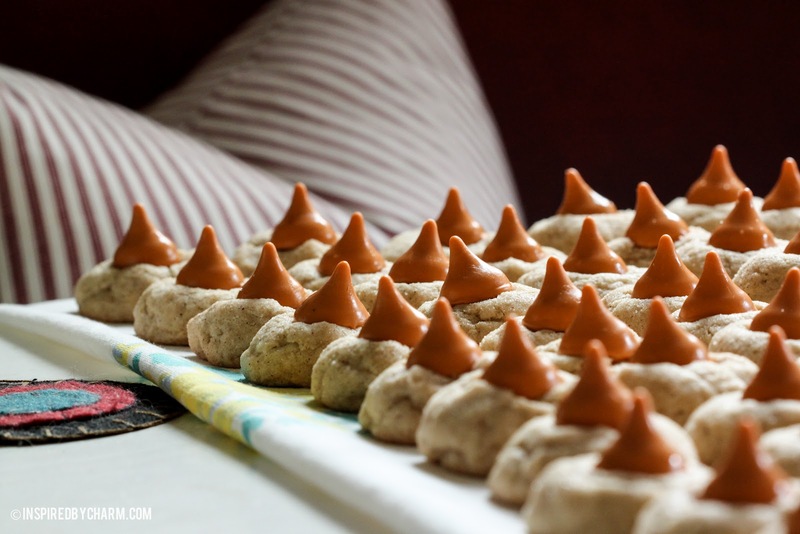 Do not touch or move your cookies until the Kisses have firmed up again. Love those little kisses!! Delish! Thank you for bringing us your posts, I really enjoy reading them. 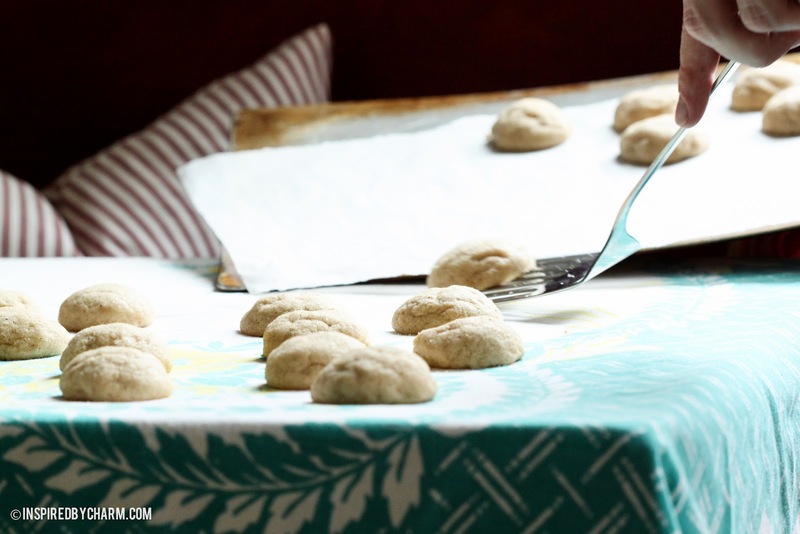 I think all of the cookie recipes that you gave us sounded so good but I have to agree with you I think this one sounds wonderful and I can’t wait until I am able to bake them. OMG! I sooo can’t wait to make these!!! 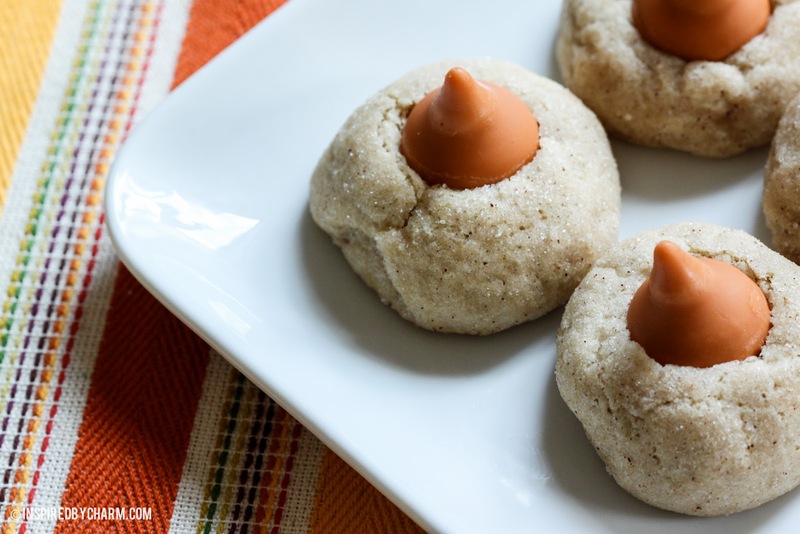 Delicious pumpkin cookies? Count me in! This is fabulous! 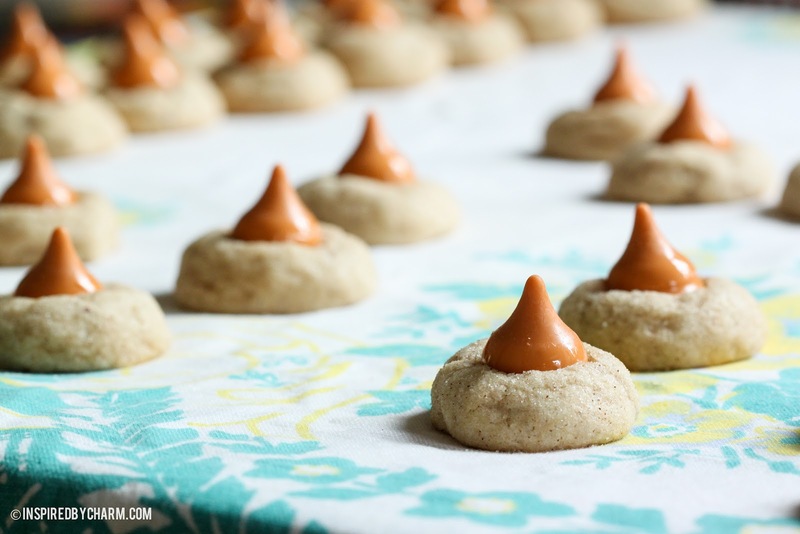 I didn’t even know that pumpkin spice kisses existed. I just made some of these and the texture is way off. I double checked that I got all the measurements correct, but I could tell by the consistency of the dough that something was off. Very crumbly cookies that didn’t hold together well. Any ideas as to what could have caused this?? I bet my friend from catering suffolk will love the pumpkin blossom recipe. She loves baking so much especially trying new recipes! These look yummy! If you try to start a business and invest on new new catering equipments, these will rock many customers! 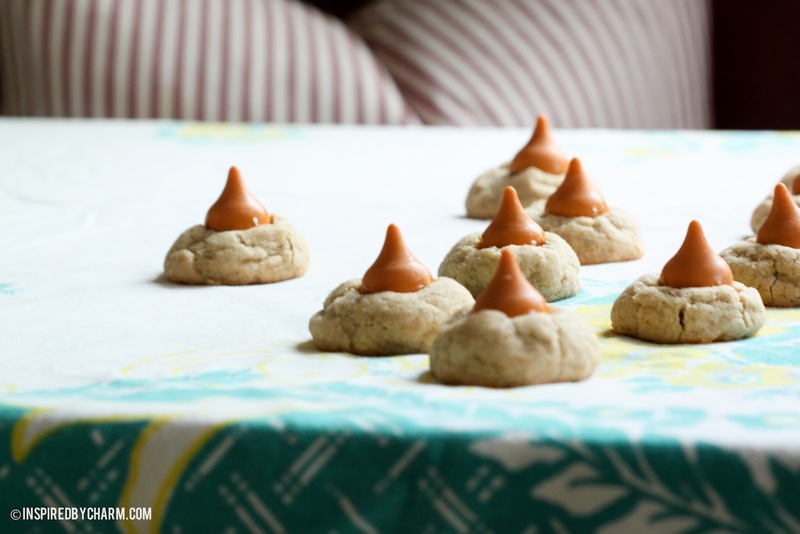 We tried this pumpkin kisses recipe and made it for my sister’s wedding giveaway. I’m glad her guests and visitors like it! That looks very delicious! If ever I will be starting a business what I have in my mind is a pastry business. 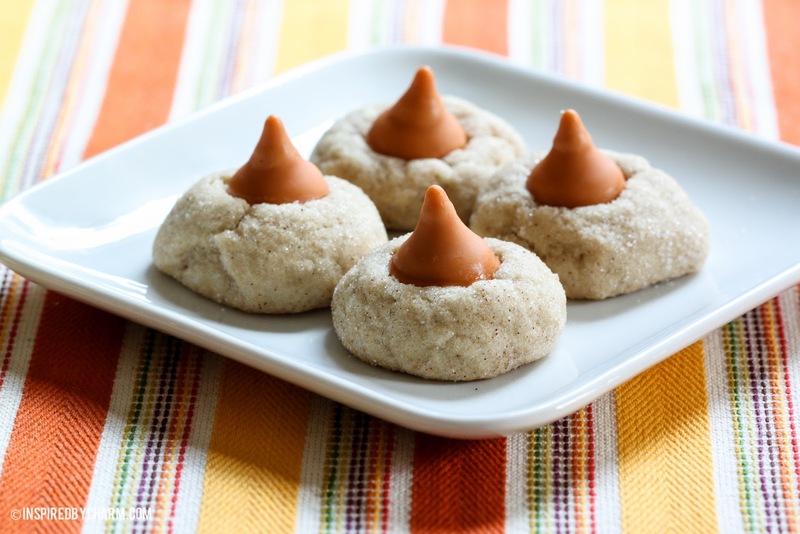 Where can I buy pumpkin kisses? I’m honestly not sure. Sorry. I wanna say between 3 – 4 dozen. Thank you for bringing us your posts!